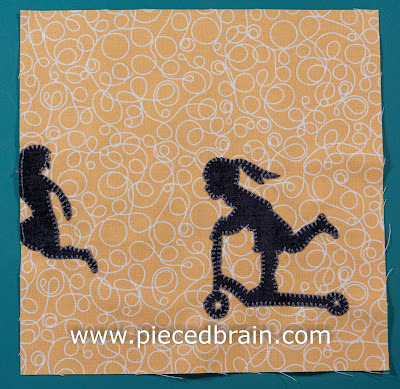 "At the Playground" is the name of block #13 of our City Girl Sew Along. 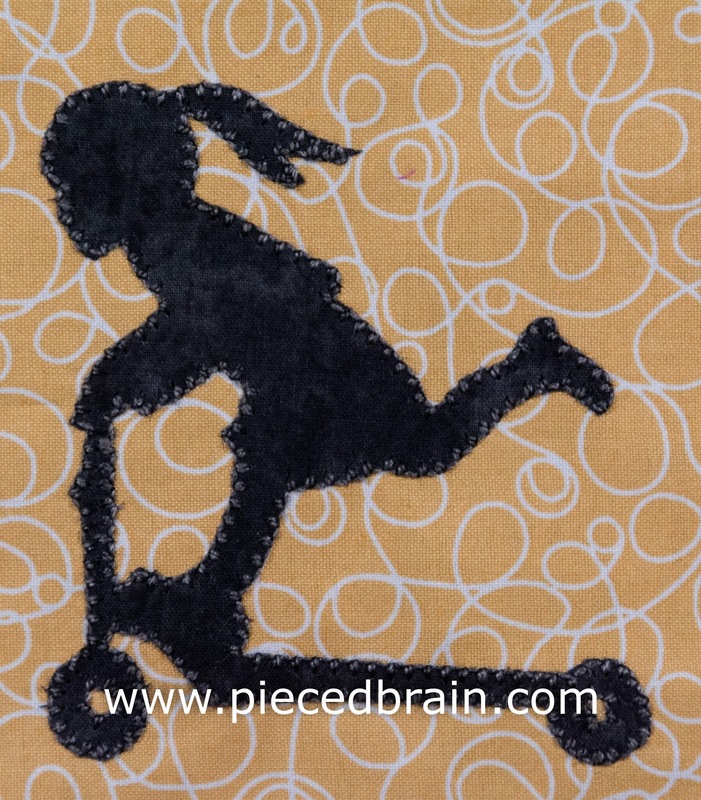 The appliqued silhouettes transported me back to Saturday mornings way back when... Remember? 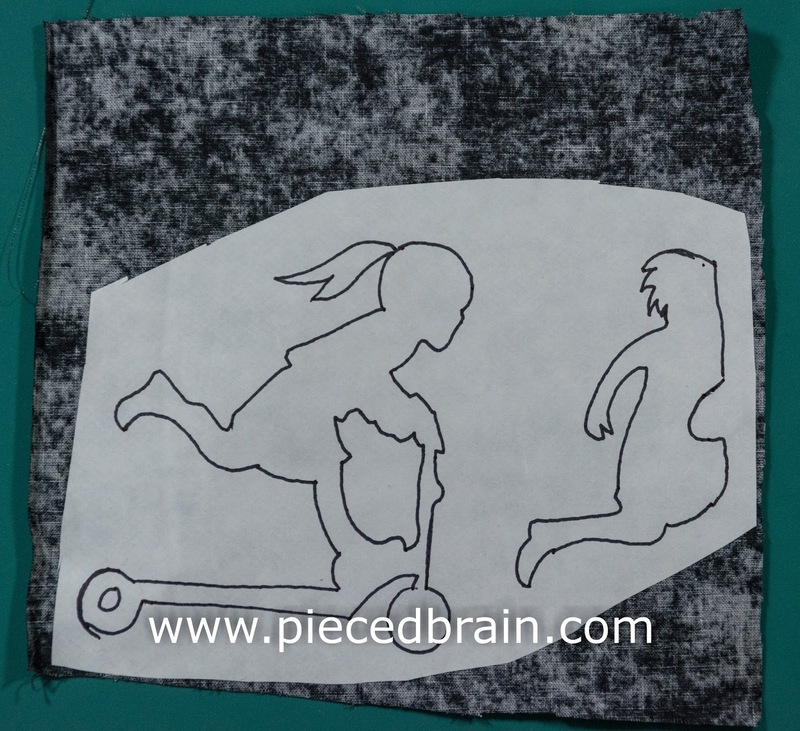 This week there will be no piecing, just applique as we did on block #12. Trace applique shapes onto smooth side of HeatnBond Lite (or fusible web of your choice). Cut around the shapes, and iron them to the wrong side of the dark fabric. For details on how to work with fusible web, click here. To download silhouette templates click here. 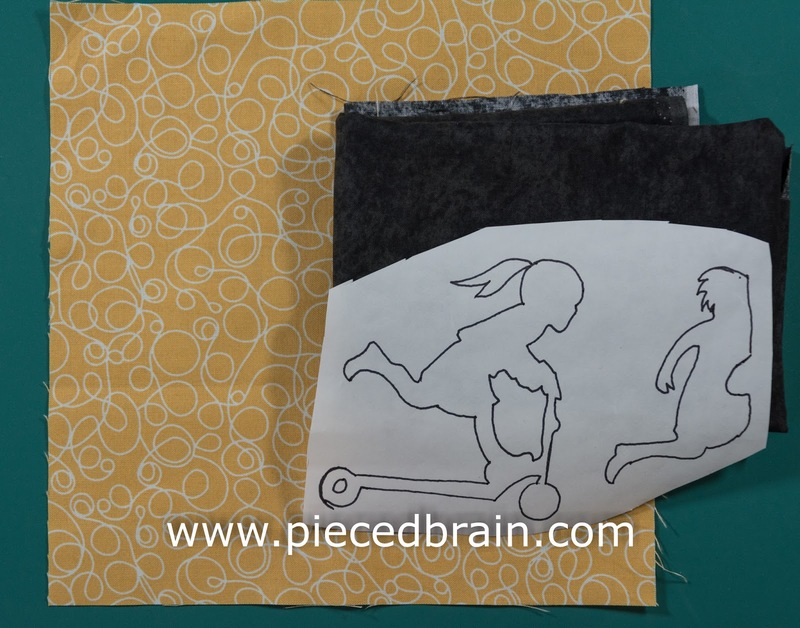 Templates are already reversed so your applique pieces will be facing left when you fuse them. Fuse all applique shapes to background. Applique them with matching thread. 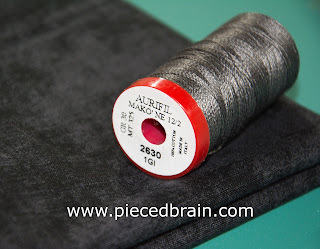 I used the same thread featured on block #2: Aurifil Mako 12 color #2630 shown below. I usually fill bobbin with same thread, but this time I used Aurifil 50 wt as they recommend on their site, and it looked just as nice. Stitching a blanket stitch with heavier thread adds gorgeous texture to the applique motif. Super quick, huh? As I stare at the 13 blocks on my design wall, my fingers are itching to put them together in a quilt. Nope, gotta wait because I have a few more block designs up my sleeve. Stay tuned! That is darling. Can't wait to make it. I'm a bit behind - just finishing up # 11.